Before submitting your application review the following points to ensure complete understanding of the scholarship application, deadline, and eligibility requirements. It is the candidate’s responsibility to ensure that a complete application and all requested materials are submitted. Incomplete submissions will not be considered. 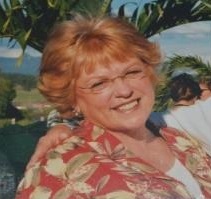 Dianne Riley Erickson was a graduate of Del Norte’s first graduating class in 1966. Upon graduation, she touched countless lives during her 40-year career as a registered nurse (RN). She was an advocate for those suffering with mental illness and worked hard to educate people about these illnesses. The Dianne Riley Erickson Nursing Scholarship has been established to honor Dianne’s lifelong work and dedication to nursing education. The family wants Dianne’s wonderful work to be remembered and carried on by future nursing professionals. This scholarship is intended to provide up to four years of support in an accredited public or private two- or four-year institution of higher education anywhere in the United States. During the first year, one or more graduating DNHS senior(s) will be selected to receive a $1,000 education award to pursue a four-year degree in Nursing. If a recipient maintains a 3.0 GPA or higher while enrolled in college and continues his or her course of study in Nursing, he or she will be eligible to receive an additional $2,000 during the second year of study, $3,000 during the third year, and $4,000 during the fourth year (up to $10,000 over four years). Applications will be accepted starting January 22, 2019 and must be received online via our website submission form or via e-mail at scholarships@alumknights.info by Friday, February 15, 2019 at 12:00 pm MDT (noon). Please note that the transcript and letters of recommendation must be submitted in-person to Mr. S. Allen Lindsay, College & Career Counselor, in Room 310 (not via e-mail) by Monday, February 18, at 12:00 pm (noon). Applications will be evaluated in March to determine the rating/ranking of applicants based on selection criteria developed by the AlumKnights Student Support Committee. Students who submit the proper application material and are selected through a preliminary selection review will be invited to participate in a formal interview with members of the AlumKnights Student Support Committee in April. The final awardee(s) will be selected and notified no later than March 31, 2019. Questions about the application material can be directed to scholarships@alumknights.info. A member of the AlumKnights Student Support Committee will respond to you as soon as possible. After completing and submitting this application you will be emailed a copy for your records.